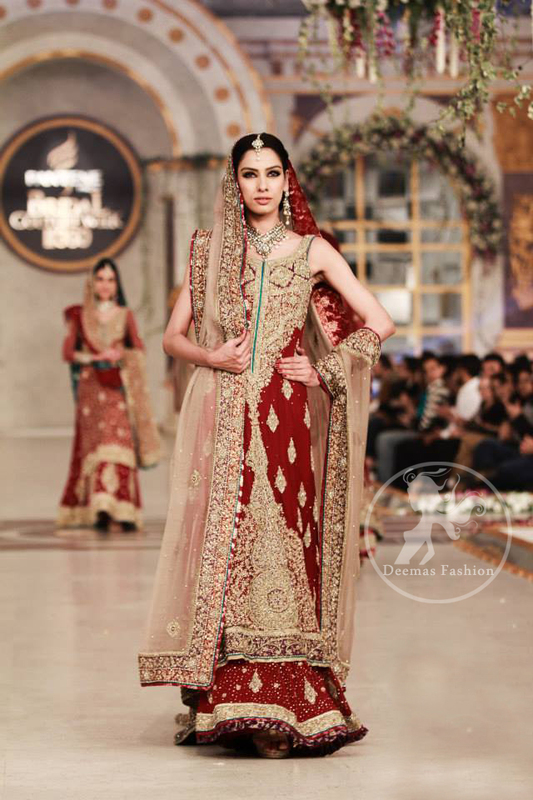 Tags: A-line, Baraat, Deep Red, Frock, Lehenga, Light Fawn, Wedding Outfit. Deep red heavy A-Line Frock adorned with light golden and golden zardosi. 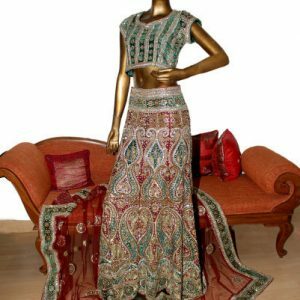 Fawn net dupatta with banarsi lehenga.